IWCBD was conceived by Sophie de Ronde in 2013 as a way to fight against sexism and gender bias in a traditionally male-dominated industry. She contacted the Pink Boots Society (PBS), a non-profit organization which supports women working in the brewing industry, and found support there. 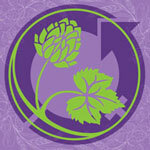 The inaugural IWCBD event was held on March 8, 2014. Over 60 women brewmasters in five different countries participated by simultaneously brewing the same recipe of craft beer, Unite pale ale. The next year, there were 80 participants from 11 countries who brewed Unite red ale. IWCBD is more than just another awareness day. It is also a chance for women brewmakers from different countries to network with one another, as well as a charity event that helps raise money for the Pink Boots Society and local charities. Since its inception, it has made a great contribution to normalizing the idea that women can successfully work in the brewing industry.